What do you do when your stomach starts growling hours before your next meal? You grab a snack of course! Snacking definitely has a bad reputation thanks to our tendency to choose empty calorie and fattening snacks, but snacking isn’t a bad thing! Eating a healthy snack will hold off hunger and keep your energy levels high. So here are some tips to snack smart! A glass of skim milk or soy with calcium will sustain you longer than a soda will. -Look for foods with fiber and combine them with protein filled snacks. You can pair peanut butter, cottage cheese, or low fat yogurt with whole grain breads, cereals, fruits, and vegetables for a quick healthy snack! -Prepare healthy snacks in advance! When you prepare your own snacks, for example trail mix, you can control the ingredients and put in what’s good for you! -Keep healthy snacks with you to eat when those hunger pains strike. Keep whole grain crackers, fruit, or baby carrots in your backpack or work out bag. This is healthier than stopping at that vending machine! Give yourself a variety of choices so you don’t get bored eating the same things. -Satisfy cravings with healthier options. For example, if you’re craving chocolate, go for a chocolate drink instead of a candy bar. If you’re craving something salty, go for pretzels instead of chips. -Read labels and serving sizes. What looks like a small package of cookies can contain multiple servings meaning multiple calories, sugar, and everything else! Need Healthy snack ideas?! 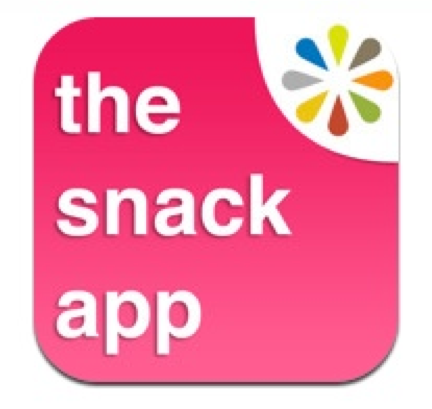 Check out The Snack App available on the IPhone! Whether you are craving something sweet, crunchy, sinful, or just a late night snack this app has every snack you could possibly think of! AND it’s all less than 200 calories. If you happen to slip up, it even suggest simple ways to burn those extra calories! It also sends out daily tips!! I love this app and I hope you learn to love it too!